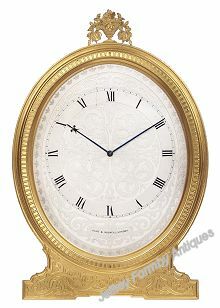 Other types of clocks that we have include lantern clocks, skeleton clocks, wall clocks and cartel clocks. All our clocks have been overhauled and sympathetically restored. They are in good working order and have a 12 month guarantee. Delivery is free in England and Wales and we will be pleased to arrange packing and shipping of any item, to anywhere in the world. There are many books available on all types of clocks. Take a look at the books we have for sale. An early eighteenth century brass lantern clock signed on the engraved dial centre Wm Lee Leicester. The 30-hour, rope driven movement has an anchor escapement, but originally had a verge escapement. 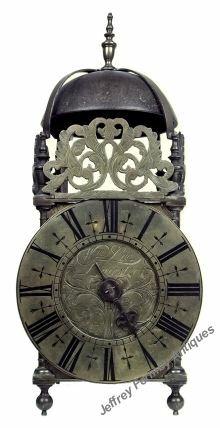 A large 8-day oval strut timepiece made by Thomas Cole, London and retailed by Hunt & Roskell, London. The clock has an engraved and silvered dial measuring 6¾ x 5½ inches with the retailer's name Hunt & Roskell London in a cartouche below 6 o'clock. A set of 4 good engravings of a turret clock. 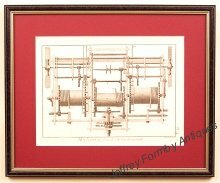 Plate 4 (pictured here) shows a 3 train quarter striking weight driven pendulum clock, the other 3 plates show details of each train. A round glass dome, probably made in the late Victorian era. The dome is in good condition. A round glass dome, probably manufactured in the late Victorian era. The dome is in good condition but the bottom edge is a little rough and chipped.